http://america.aljazeera.com/articles/2015/8/28/berlin-germany-euro... [and from another] https://soundcloud.com/rttv/10-million-migrants-pressenza ‘Up to 10 million migrants on their way to EU’ Austrian police have confirmed that between 20 and 50 refugees have been found dead in a tractor trailer in the country's east. It appears the migrants, whose bodies have begun to decompose, suffocated in the back of the truck. [and from another] http://www.rt.com/news/313603-migrants-dead-austria-lorry/ The victims had died from suffocation. 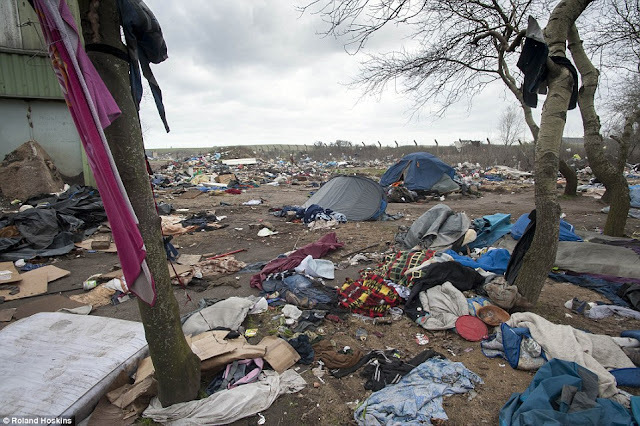 Police suspect that a Bulgarian-Hungarian trafficking ring is behind the migrants’ deaths. The migrants were dead before the truck entered Austria. The truck, which has Hungarian license plates and was near the Hungarian capital Budapest on Wednesday, is believed to have been abandoned for several days. We have long predicted that the refugee crisis would exacerbate as the 7 of 10 plate movements picked up steam and the worldwide drought and deluge increased starvation. Migration from the flooding southeast Asia has been on the increase since the sinking of the Sunda Plate ensued in 2011. Australia has imposed brutal immigration policies so that Indonesia and Malaysia resettle these displaced people. The unwanted in Bangladesh and Myanmar, lands that are sinking, are increasingly pushed into boats. Smugglers have been known to sink boatloads of migrants they cannot unload, sell them into slavery, or kill and bury them on land. The increased flow of refugees and job seekers from Mexico and Central America has become a campaign issue in the US. The Middle East has become a horror with ISIS roaming about killing the populace with abandon. Efforts to get the countries there to fight ISIS runs into the age-old religious battles between Sunni and Shia. ISIS lives between the fractures, like a sadistic horde that cannot be stopped. War torn Afghanistan and Pakistan are hardly better. These migrants do not run north into Russia or its satellites as these borders are well guarded and refuse any migration, a long standing practice. Word gets around, and the word has always been that Europe welcomes migrant workers, and will put immigrants on the welfare dole. Migrants, like water, will flow in the direction of least resistance. Europe has been slow to establish a policy because there simply isn’t a viable solution. A huge percentage of the world is essentially bankrupt, unable to meet the growing demands of their citizens. Governments are running scared, squeezed between economic downturns that refuses to abate and Earth changes they fear will only get worse. When asked to take in refugees, Heads of State quiet shake their heads. There are NO offers. We have predicted that countries will get increasingly strict when faced with a flood of refugees. Those who are already brutal will get increasingly brutal. Just where the push back occurs in Europe is yet to be seen, but it is surely coming. A former military base, the site of Moria camp can easily be mistaken for a prison. Stretching along a hilltop and with many fenced sections, it is confusing to find your way around. An asylum seeker is making tea at one of the camp's rare functioning electricity spots. The network often collapses and people do not have access to power for days. At night, there are many open fires inside the camp. The wood comes from the forest and olive grove surrounding the area, which leads to tensions with the local farmers. Asylum seekers from African countries are typically faced with have a long process. Piles of waste are spread all over the camp. Residents accuse authorities of not cleaning the designated areas every week. It is estimated that Moria camp is hosting more than 2.5 times more people than its intended capacity. Some 350 unaccompanied minors and hundreds of children, women, elderly and disabled people live here. The so-called vulnerables still face delays of up to three months over their relocation to the mainland, which should take place sooner. Some residents live in containers, but even here the heating system is not working all the time. A few people seek protection between the structures and build up tents there. A sign reads that the EU and the Greek government spent more than 5.4 million euro ($6.6m) on Moria camp. Syrian and Iraqi asylum seekers share a fireplace between their tents. For many Moria camp residents, this is the only way to protect themselves from the plummeting winter temperatures. Makeshift tents spread across the olive grove outside Moria camp. People here have no access to electricity or sanitary facilities. The Finnish authorities’ order to impose more stringent controls at the border came as hundreds of people held an anti-immigration protest in the center of Tornio, and formed a human wall to express their opposition to migration. “We oppose so many asylum-seekers coming to Finland,” one couple at the demonstration told Finnish broadcaster YLE. “We have only seen men, no families. These are welfare refugees and that is why we are protesting,” explained another protestor. Austria and Germany have welcomed thousands of migrants, many of them Syrian, who are now free to cross the border after spending several days stuck in Hungary. Local people in Munich and Frankfurt applauded them as they arrived and handed out sweets to children. For example more than 23 000 migrants arrived in Greece by sea last week, nearly 50 percent more than in the previous week, according to preliminary data collected by Frontex. The number of Syrians detected at the borders in the Western Balkans region nearly quadrupled to 20 000 in the second quarter compared to the previous three months. Syrians ranked just ahead of Afghans, whose number nearly tripled to 18 850. In the month of July, the number of migrants detected at EU’s borders more than tripled to 107 500 compared to the same month of last year, surpassing the 100 000 mark in a single month for the first time since Frontex began keeping records in 2008. 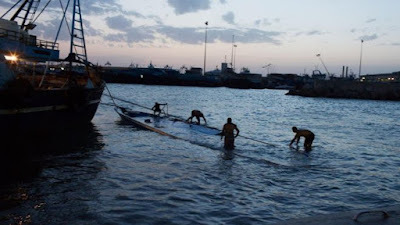 Lacking navy ships, Libyan officials were searching for survivors with fishing boats and inflatables provided by locals. Despite the dangers, the migrant tide shows no sign of abating. The victims are wearing light summer clothes which are now inadequate for many European lands, especially in the evenings. Today, it seems as if great swathes of the developing world have decided that their only hope is resettlement in the West. Some are refugees and some are economic migrants. But the crossing to Europe is treacherous, and more than 3,000 people have died this year in attempts to reach Europe by boat, compared with 3,500 during the whole of last year. More than 300,000 refugees and migrants have used the dangerous sea route across the Mediterranean so far this year with almost 200,000 of them landing in Greece and a further 110,000 in Italy. Also last Friday, prosecutors in Sicily detained 10 people on suspicion of smuggling and murder for having allegedly crammed dozens of migrants into the airless hold of a boat where 71 bodies were found this week. Thousands of migrants have crossed into Austria, after Hungary's surprise decision to provide buses to take them to the border overnight. For days, the Hungarian government had blocked them from travelling by train to northern and western Europe. About 3,000 exhausted people, many of whom had initially fled Syria, crossed the Austrian border and are being received in a Red Cross Centre. Austria says they can claim asylum or carry on to Germany if they wish. The move comes as European Union countries are struggling to agree on how to deal with an unprecedented surge of asylum seekers. Hungary's government eased restrictions on transit after many migrants overwhelmed police cordons and set off towards the border on foot on Friday.